Prostate problem is a common health issue seen among old age people. Researchers say that, this health disorder in men can be effortlessly controlled by leading a healthy lifestyle. Usage of excessive red meat, animal-derived fats, dairy products, and eggs are few main causes for the formation of prostate problems. It can be considered as a nutritional deficiency disease due to the deficiency of fruits and vegetables in the diet. Eating a healthy balanced diet like vegetables helps in avoiding the risk of prostate cancer and prostate enlargement. Prostate is the main reason of urinary problems both benign & non-benign enlargement and inflammation (prostatitis). Prostate leads to many diseases but these can also be brought about by lifestyle by urinary tract infection and by a diet, which is rich in fat. Aging in men leads to several complications as the prostate enlarges, this enlargement (which though benign) can create obstruction which can be fairly rigorous and aching. The problem related to prostate are treatable if diagnosed in time. Delayed diagnosis can spread to the other organs in the body. The wellness of prostrate can be maintained if certain measures are in place and in their strict observation. Nutritious diet plays a very important part in maintaining the prostate wellness and acts as a preventive in warding off complications that may arise out of it. Below are some of the insertions that you must do with the diet like. 2. 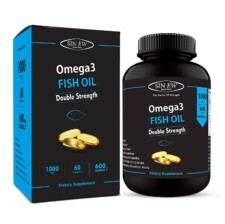 Intake of Omega-3s in the form of fish and vegetable oils. 3. Avoid or limit the use of saturated animal fat, as it is associated with the problems of the prostate. 4. Isothiocynetes and phytochemicals are protected as they also have antioxidants; these are available through the cause of cabbage, broccoli and cauliflower. 5. Whole grain contains selenium, phytochemicals and vitamin E and offer fiber, which is much needed for the body, can help prevent further prostate complications. There are several supplements in the market that can help in maintain health of prostrate. Some of the best prostate health supplements used for the curing prostate problems. Zinc is one of the excellent prostate supplements mainly used for prostate troubles. It is a necessary mineral needed for the right functioning and growth of prostate glands. Dark chocolate with cocoa powder, Oysters, sesame butter, roasted pumpkin and squash seeds, dried watermelon seeds; mutton, peanuts and veal liver are certain food items that are rich in zinc concentration. The other best prostate health supplement is Fructose, which is used for the curing prostate related issues. It is a generally found in fruits. Banana, Mango, blueberries, apricots, pineapple, pears, figs and cherries are certain food items with high concentration of fructose. Regular consumption of foods, which has high fructose content, helps in reducing the chance of prostate cancer. Vitamin E, a major component of fat-soluble compounds is prostate health vitamins mainly used for treatments. Flax seeds, soybean, sesame oils, palm and corn oil are certain sources that are rich in vitamin E.
Lycopene, a carotenoid pigment mainly found in red color vegetables and fruits is one among the extensively used as natural supplement for prostate health. Eating lycopene rich foods reduces the risk of prostate cancer. Watermelon, Tomatoes, pink grapefruit and other fruits and vegetables with red color are some of the best examples of food items with high lycopene concentration. Avoiding the harm and neutralizing free radical action are some other advantages of using selenium as a health supplement.